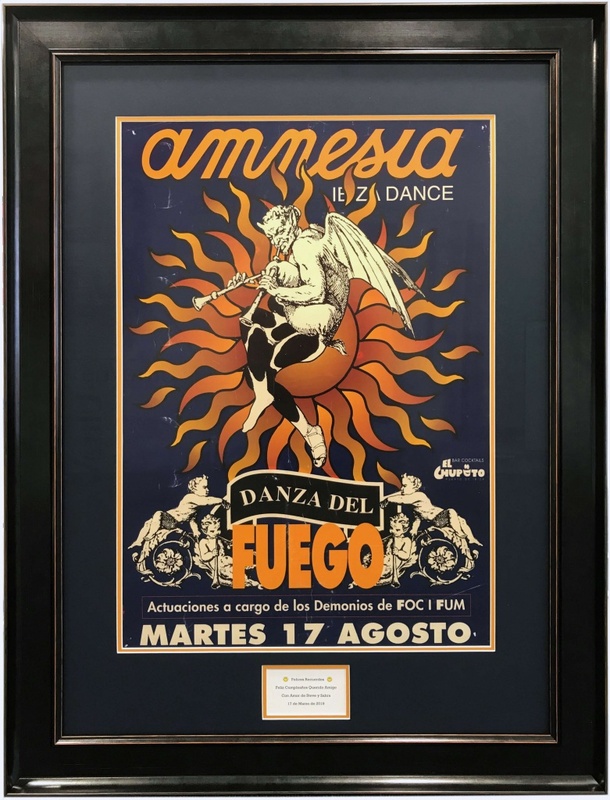 We have recently framed this poster from the club Amnesia, Ibiza from way back in 1989. 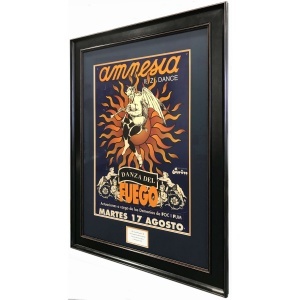 Our customer chose a beautiful wide black frame frame with a double mount. the colours match the poster and the thin 3mm inner mount sets off the poster perfectly. You will notice that this is echoed by the inner mount around the text box beneath the poster. 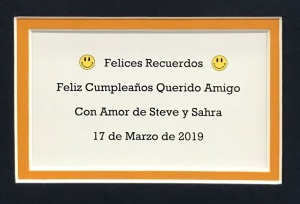 “Happy Birthday dear friend with love Steve and Sarah 17th March 2019”. What a truly nice gift. I wonder where the poster has been for the past 30 years! !